Cleopatra Records Proudly Announcing The Signing Of L.A. Psych-Stars, The Warlocks! 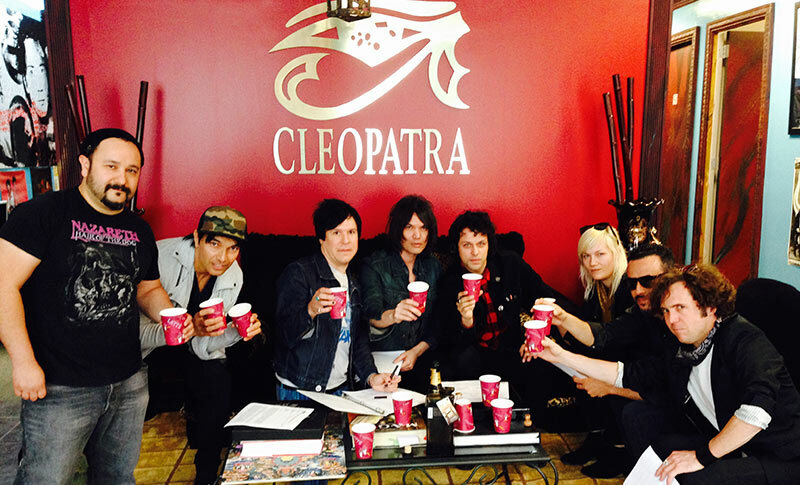 – Cleopatra Records, Inc.
Cleopatra Records Proudly Announcing The Signing Of L.A. Psych-Stars, The Warlocks! UK Tour On The Immediate Horizon For The Band Followed by Recording Of Their Next Opus! Los Angeles, CA – Cleopatra Records announced the signing of L.A. psych veterans, The Warlocks, adding to the label�s growing stable of talent. The Warlocks were founded in 1998 in Los Angeles by Bobby Hecksher, who has led the band from strength to strength ever since. After seeing their debut in 2000 with a self titled EP released on Bomp! Records, The Warlocks followed up with the full length Rise and Fall in 2001. Since then, the band have released the neo-classics Phoenix, Surgery, Heavy Deavy Skull Lover, The Mirror Explodes & Skull Worship. All of which have lent to the bands worldwide cult status and a loyal fanbase that eagerly await The Warlocks� next spell. Be sure to catch The Warlocks on their upcoming UK tour as well as a couple of local shows in the Los Angeles area.